Devin Kiser was just eating lunch with the other second graders at Hancock Elementary on Wednesday, when she started choking. 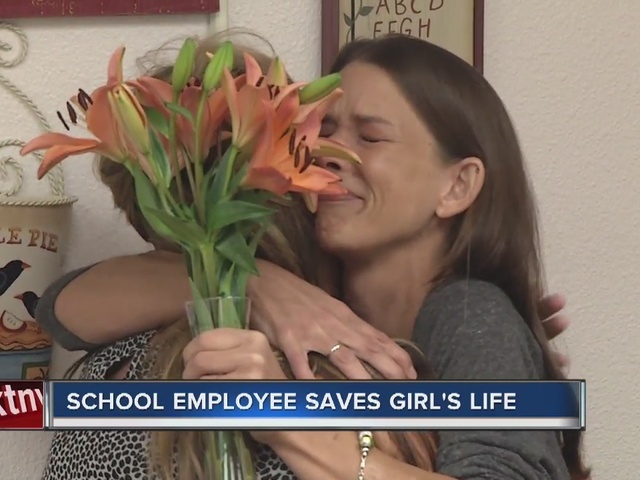 A little girl started choking in the middle of her school lunch room, but thankfully, a school employee knew exactly what to do. 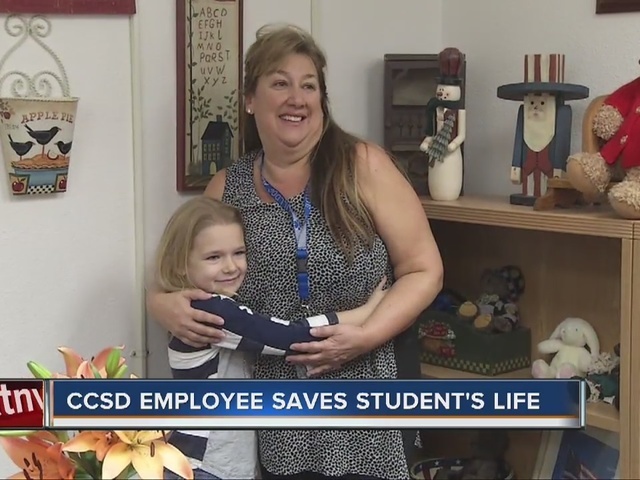 "Her coloring was completely pale white and went to purple within three seconds," instructional assistant Dana Delario said. Within seconds, Delario knew exactly what to do. She wasn't going to let anything get in her way. "I jumped over the garbage can to get to her because I knew something was wrong," Delario said. Delario cleared Devin's airway and performed the Heimlich maneuver until she could breathe again. "She fell back on her training and saved our little girl's life in an instant," said Devin's father, Anthony. Delario says it's just part of her job, but the Kisers know it's so much more than that. "It's just amazing that we still have people out there ready to jump in because some people want to ignore nowadays and not get involved, so I'm lucky she got involved," said Devin's mother, Melinda.